Please Note: HEART does not sell or profit from the sale of the following resources. We offer this list as a service to educators looking for resources to enhance their instruction.Click on the underlined link for information on where you can purchase each item. The Character Connection – by Bill DeRosa. Animal Sheltering 12-20 (September/October 2001). One More Thing for Teachers to Do? Why and How Educators Should Develop Students’ Empathy and Humanity (pdf format requiring Acrobat Reader) by Michael Kaufmann and Jennifer Fitchett, published by American Humane Association. Specific tips for all student ages. The Complete Guide to Service Learning by Cathryn Berger Kaye – Proven, practical ways to engage students in civic responsibility, academic curriculum and social action. Educating for Character: How Our Schools Can Teach Respect and Responsibility by Thomas Lickona – Reports on dozens of practical, successful programs that are teaching values important for children’s moral development. M/H Gandhi’s 7 Deadly Social Sins poster – Politics Without Principle; Wealth Without Work; Commerce Without Morality; Pleasure Without Conscience , Education Without Character; Science Without Humanity; Worship Without Sacrifice. E/M/H Giant Steps – a collage of positive sayings on one big poster! M/H How to Build Community poster – Simple suggestions to restore our eroding sense of community. One World, One Earth: Educating Children for Social Responsibility – by Merryl Hammond and Rob Collins. Promoting Moral Growth: From Piaget to Kohlberg by Joseph Reimer, Diana Pritchard Paolitto, and Richard H. Hersh – Helps educators translate Lawrence Kohlberg’s theory of developmental moral education into practice. P/E/M Kidlink – a rich site, featuring a place for kids to read comments from students worldwide and post their own. Don’t miss the topics under “Making Our World a Better Place.” Site provides private conferencing communities in more than 30 languages, and has more than 100,000 pages in the multi-lingual site. Services are supported by 500+ volunteers, mostly teachers, living in over 50 countries. P/E/M/H Telecollaborate! Extensive list of links to project listings, and the opportunity to submit your own collaborative project. P “KindnessCounts” BCSPCA lesson plan on animal empathy for grades K-2. P/E/M Critters With Character – Resource to order from NAHEE, not available online. Lesson Books Grades K-2, Grades 3 & 4, and Grades 5 & 6. Each Critters with Character book includes 30 teacher-reviewed, ready-to-use lesson plans. Whole-class games, activities, and worksheets reinforce core values – kindness, compassion, citizenship, fairness, respect, responsibility, and integrity – with special emphasis on pet care, respecting wildlife and natural habitats, and safety around dogs. E/M Don’t Buy It Guide for Teachers – Media literacy education can help students build critical thinking and analytic skills, become more discriminating in the use of mass media, distinguish between reality and fantasy and consider whether media values are their values. These activities are intended for children ages 9/11, and are designed to touch on the six levels of Bloom’s Taxonomy: knowledge, comprehension, application, analysis, synthesis and evaluation. In addition, each lesson is aligned with the Mid-Continent Research for Education and Learning (McREL) Standards. Stop School Bullying – List of resources on bullying compiled by Kalamazoo College. Stop Bullying Now! Education World offers ten lessons designed to teach students to respect diversity and resolve ideological differences peacefully. Humanity Quest – Uses art activities to help students learn about poverty. Occupational Oxymoron – Lessons appropriate for grades 6-12 examining the circumstances of the working poor. Global Women and Poverty – This in-depth look at global poverty is appropriate for high school students. P/E/M/H Feeding Minds, Fighting Hunger – three lessons each for different grade levels. M/H Poverty Curriculum – 7 units, including an Internet Connections option for each. M/H Eleanor Rigby Project – Lessons for on and offline use on homelessness, and a great resource page of additional links. E/M/H Kids Can Free the Children – campaigns to help kids help kids. M Lost Futures: The Problem of Child Labor Video – This 16-minute video for middle school students produced by the American Federation of Teachers includes a brief history of child labor in the United States, a description of child labor around the globe including the story of Iqbal Masih – a freed child laborer and martyr from Pakistan–and how American schools have joined in the fight to end child labor. The video is accompanied by a teacher’s guide with background information, lesson plan suggestions, and additional resources (scroll to video). M/H Stolen Childhoods – This documentary features stories of child laborers around the world, told in their own words, and places these children’s stories in the broader context of the worldwide struggle against child labor. M/H Sweating for a T-Shirt – Documentary about the sweatshop industry in Honduras. Fight hate and Promote Tolerance – The Southern Poverty Law Center provides classroom activities to teach tolerance. Education World – Lesson plans on teaching tolerance. Paperbacks for Educators – Tolerance activities for a more peaceful school. H Discrimination Based on Race – lesson plans from the United Nations Cyber School. H Ethnic Discrimination – lesson plans from the United Nations Cyber School Bus. Teaching Tolerance Free Classroom Resources – Teaching Tolerance offers a collection of award winning materials, including several videos and music activities – each designed to help K-12 teachers and other educators promote respect and equity. H Indigenous Peoples – Designed for teen student use. M/H Interconnections – a place where web design savvy students can help nonprofits around the world create a website presence. M/H Do Justice poster – Poster Reads: Do justice, learn from the world community, cherish the natural order, nurture people, non-conform freely (scroll to poster). E/M/H New World Map – Peter’s Projection Map – The outstanding feature of this new world map is that it presents all countries according to their true size and area. A side panel. “Why This New World Map?” offers a clear, concise rationale for the use of the map, developed with the assistance of the United Nations Development Program. Below the main map, seven smaller maps depict the distortions of our traditional views of the world. E/M/H Skipping Stones – a non-profit bimonthly children’s magazine that encourages cooperation, creativity and celebration of cultural and environmental richness. It provides a playful forum for sharing ideas and experiences among children from different lands and backgrounds. M/H Doors to Diplomacy – encourages middle school and high school students around the world to “produce web projects that teach others about the importance of international affairs and diplomacy.” Includes a collaborative online web project, peer review and a contest. P/E/M/H Epals. Your classroom can join the 6.5 million students and teachers exchanging emails and more. Check out the teaching tips, which include special projects. Safe tools for communication are provided, including safe e-mail, message monitoring, discussion boards, instant language translation and e-cards. H Global Connections and Exchange – Teachers and students can share their cultures with classrooms worldwide. Teachers partner with teachers overseas to develop short, collaborative projects. Some funding for teachers and students in other countries to visit the US partner. P/E/M/H Global Gateway – a free database of more than 6,000 schools worldwide looking for partners for international collaborative projects. P/E/M/H Global Schoolhouse Network – a nonprofit that provides free project-based learning support materials, activities, lessons etc. and unites youth from 194 countries. Features collaboratives, online expeditions, and other online activities on community, culture and scientific issues. H TakingITGlobal – run by youth and connects youth from more than 200 countries to improve their local and global communities. Topics discussed include rural youth, human rights, HIV/AIDS, etc. There are discussion boards, weblogs, instant messengers and more. Set up for individual use by students, but there is the opportunity to start a project. P/E/M/H Iearn – a large non-profit global network (20,000 schools in more than 100 countries), offering 250+ collaborative projects, on a wide variety of topics, including animals, human rights issues and environmental issues. There is an annual charge. Search for new, current collaboratives at the Global SchoolNet’s Internet Projects Registry, or create your own and register! All grade levels. M/H Building Bridges: A Peace Corps Classroom Guide to Cross-Cultural Understanding – Short, adaptable lesson plans and activities that build cross-cultural awareness, respect, and communication in your classroom. Lessons are flexible, easy to use, and standards-based. Designed for easy adaptation by teachers in grades 6 through 12. E/M/H Global Education Motivators – a non-profit offering videoconferencing on a variety of topics, such as Lost Boys, Disabled Persons, Preys of War, and UN in Your World. The charge for the conferences varies ($100 is a sample cost for an hour videoconference.) Emphasis is on high school level. E/M/H Global Nomads Group – offers videoconferencing to foster dialogue and understanding among the youth of the world. One program, Pulse, features dialogue on important world issues, such as poverty and education in Africa. Animal abuse and youth violence – by Frank Ascione, Ph.D., in the Juvenile Justice Bulletin. The Cycle of Abuse by Patty Finch – reprinted on the Valley Oak SPCA page as “The Relationship Between Animal Abuse and Child Abuse.” A brief article with action steps for educators. First Strike: The Connection Between Animal Cruelty and Human Violence – resources from the Humane Society of the United States, including what parents should know. The Link from the ASPCA, includes a bibliography. National Resource Center on the Link Between Violence to People and Animals – created by American Humane. Contains informative articles, training available and more, targeting adults, not students. Trends and Issues: School Safety and Violence Prevention – A compilation of articles and related links from the College of Education at the University of Oregon. 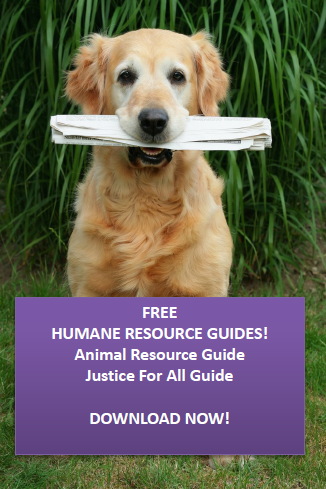 Violence to Humans and Animals: An Important Link – See the wealth of facts sheets offered for free download from the American Human Association’s Child Protection Division. Beyond Violence: The Human-Animal Connection – This video documents the relation between human violence and animal abuse. A Discussion Guide with Q&A for parents, educators, mental health and law-enforcement professionals accompanies the 13 minute video. Available in English/Spanish. Breaking the Cycles of Violence – Scroll down to this video/DVD and 64-page training manual (for adult use) from the Latham Foundation. Designed to provide training and help build coalitions around this issue. Human Companion Animal Bond – Search through the Latham Foundation publications and videos for excellent materials on the human/companion animal bond. Most are for adults and educators, rather than students. The Link Between Violence Against Animals and Violence Against Humans – Video and discussion guide for adult use. Supporting materials are also listed. Also explores positive aspects of the human/animal bond. M/H Patterns of Abuse: Exploding the Cycle by Eric Friedl is available from Pyramid Films, with a clip available online. “Patterns of Abuse” explores the nature of violence-including the link between animal abuse and human cruelty -and its effect on society.” Suitable for middle, jr. high and high school students. Phenomenon of the Human/Companion Animal Bond: An overview of the HCAB benefits – Scroll down to this video/DVD from Latham Foundation. M A WebQuest on Animal Cruelty – designed for 5th graders. Intervening in the Cycle of Abuse – Workshops for counseling professionals. M/H Human Rights In Action – Primarily informational, but at student level. From United Nations CyberSchoolBus. M/H Life on the Streets – Take a look at what these young teens did and get inspired to work with your students on documenting this problem in your location. M/H Schools Demining Schools – Activities, articles for students to read, projects, from United Nations CyberSchoolBus. P/E/M/H United Nations’ ABC, Teaching Human Rights – Practical Activities for primary and secondary Schools. No One Is Free When Others Are Oppressed – a bumper sticker. E/M/H Human Rights, Refugees & UNHCR – Click on the menu items on the right for specific lessons plans on exiles (art lesson), refugees (civic lessons) and human rights and more. The HRE Library contains over 1000 full-text guides, curricula, textbooks and other documents that can be used for both formal and non-formal education in human rights. M/H Take the Human Rights Temperature of Your School – Grade Levels 7-12. Participants evaluate their school’s human rights climate using criteria derived from the Universal Declaration of Human Rights. The subsequent discussion builds towards identifying areas of particular concern and developing an action plan to begin addressing them. H 3Plus-U – A flashmovie for teens about rights at work from the United Nations Cyber School Bus. E/M With miles to go before I sleep – students take on the role of slaves in the underground railroad, traveling from Ohio to Canada. Excellent, rich lessons.